Doctor Hands Pointing Electro-cardiogram Chart On Clipboard Pad Fill Medical History With Pen. 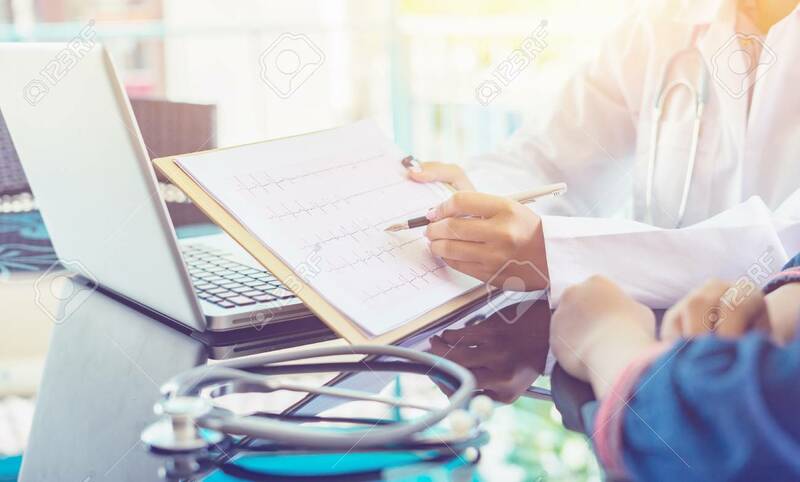 Cardio Therapeutist Assistance, Physician Make Cardiac Physical, Pulse Measure Document, Arrhythmia Idea Banco De Imagens Royalty Free, Ilustrações, Imagens E Banco De Imagens.. Image 80622545.